G.I.T.O has contracted Scientific Analysis Laboratories SAL Company for conducting some tests and analysis, and they proved great potential in this area. SAL is an independent company specializing in accredited analytical services for the environmental, health and safety chemical, petrochemical, food, growers and retailers, electronics sectors of industry throughout UK and worldwide. SAL offers an exhaustive range of test suites, covering small sectors including environmental, food/feed, occupational hygiene and product testing. 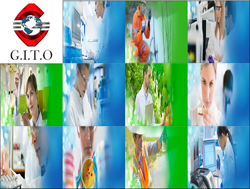 • Odour G.I.T.O has contracted Scientific Analysis Laboratories SAL Company for conducting some tests and analysis, and they proved great potential in this area.